2008.06.12 - Stonehenge is in the news again, this time due to new dating of the "Cursus". Permalink. 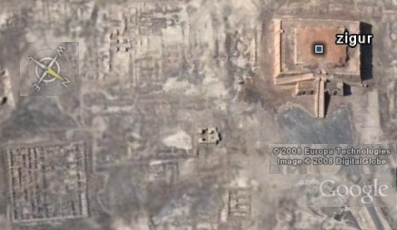 "... latitude at Harran equals 3/4 atan and at Ur 3/5 atan ..."
2008.04.16 - New Google Earth™ Placemarks - I just uploaded new SW Archaeology Spring 2007 GPS Placemarks files, and an Excel dataset with all SW 2007 waypoints. Finally! I journeyed in the Southwest fully a year ago. To better share the customized placemark formatting, I saved as KML files), readable UTF-8 text. Google Earth uses two formats, KMZ and KML. The KML files display a readable XML application, and KMZ is the zipped format of KML. To examine code, open KML files in any simple text editor. KMZ files can be saved as KML in Google Earth. I first created the file with Excel using the column fill down command for the redundant code snippets. With this method, hundreds of placemarks incorporating a custom design can be created quickly with any dataset. 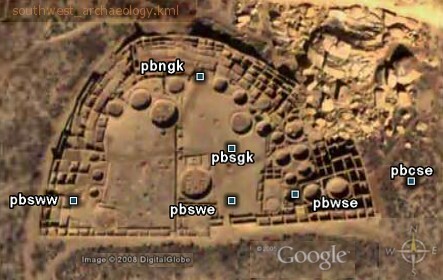 Don't miss my entire collection of Ancient Monuments Placemarks. A popular download is The Inca Tail and Machu Picchu. 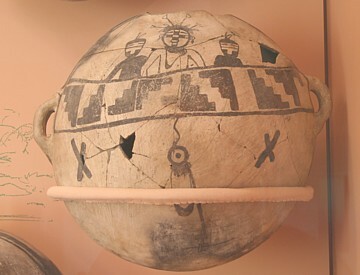 I recommend the Chicama-Moche Canal. It is set up to navigate along the length of the canal by clicking the placemarks in sequence. Some of the Eastern Woodlands files includes Squier and Davis map overlays. I plan to update the Southwest file with image thumbnails and overlay maps, and previous files with styling. That may take another year! 2006 - Eastern Woodlands GPS Placemarks w/ Squier map overlays.